First stage in Serbia (Sombor) from 11-13 of September 2018. Second stage in Croatia (Valpovo) from 12-14 November 2018. Local authorities from the border cities of Osijek, Vinkovci, Beli Manastir, Erdut, Valpovo, Belišće (Croatia), Mohács, Baja, Kiskunhalas, Kecskemét, Bács-Kiskun County (Hungary), Apatin, Sremska Mitrovica, Kanjiža, Odžaci, Bačka Palanka, Bačka Topola, Pirot and Sombor (Serbia) participates in the special Leadership Academy for Cross-Border Cooperation, developed and co-organised by the Centre of Expertise of the Council of Europe. 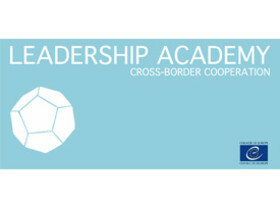 The interactive training programme focuses on developing the skills and tools needed to build the organisational capacity to foster cross-border cooperation and internal collaboration. Participants will learn about good local governance, leadership, communication etc. in the context of cross-border cooperation, and develops a concrete framework for the trilateral cooperation and projects. Find more information on the website of the Council of Europe.